Everything is a lesson. If not, it's an achievement. A take on the 'No Fear' t-shirt phenom. 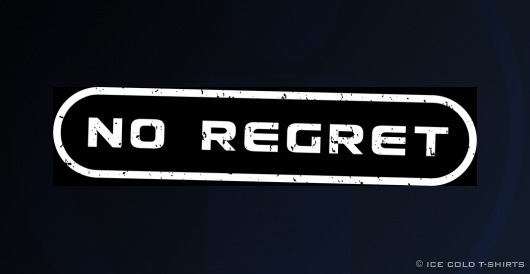 But realistically, would anyone fear if they had nothing to regret? This shirt expresses the want for true freedom.